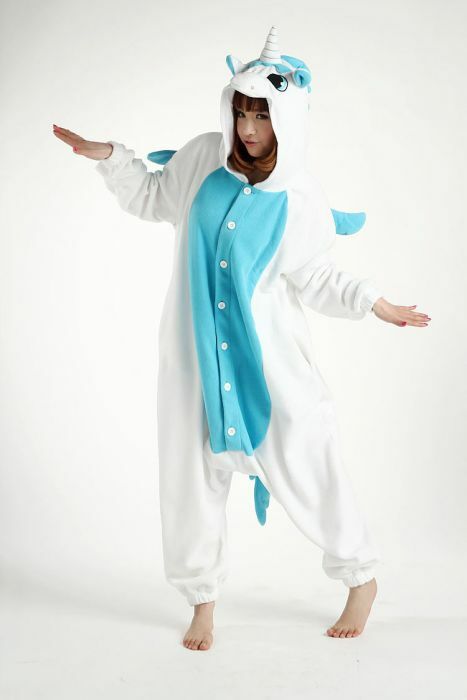 This Blue Unicorn Onesie includes an incredibly comfortable soft and fleecy unicorn one piece suit with pockets, attached tail, mane and wings. Pink unicorn also available. Our Onesies are meant to be roomy and are sized according to your height for maximum comfort. These pyjamas-turned-fashion-statement costumes have spread globally in popularity. Whether you plan on a snuggly night in with the rest of your onesie clad gang or wish to fart rainbows and stars in comfort, this blue unicorn onesie has a use for everyone!